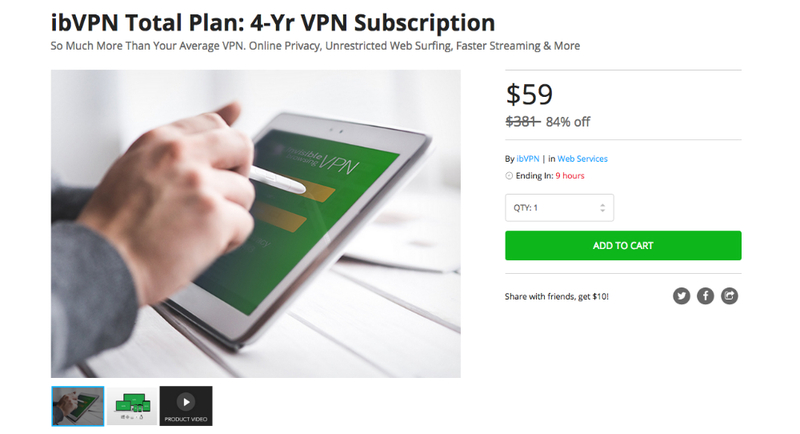 This is your final reminder that you can grab a 4-year subscription to ibVPN, regularly priced at $381, for just $59 in the DL Deals Store. With ibVPN, subscribers can block web surveillance and would-be hackers, while conveniently choosing from 75+ VPN servers in 39 countries. On top of keeping your happenings on the Internet private and secure, ibVPN can unblock 165+ TV and radio channels worldwide for your consumption, and can unblock VoIP apps such as Skype. If a VPN fits your needs, check out the link below.